This recipe has 14 ingredients. It takes 4 1/4 hrs, 15 minutes of which is active and makes 6 servings. I had no problems finding any of the ingredients at my local grocery store and made no ingredient modifications. I ended up leaving off the cilantro on the plate since I completely forgot about it, opps! I did find that 4 pounds of chicken thighs ended up being far more than 12 thighs for me, I think my grocery store must sell smaller thighs than the ones the recipe used. Since everything was going into the blender I didn't overly chop any of the ingredients before putting them in. I have a very good blender that can pretty much chop anything, including ice. As I always do, I chose to cook this recipe on low, I prefer the flavor on low for a longer amount of time. For the toasted almonds, I toasted my almonds on the stove, I find it much quicker and easier than the oven. When the recipe is finished make sure to pour off the layer of fat and soak up any remaining fat with a paper towel. There was a good cup of fat that I had to pour off and without this step it would have been far too fatty. With this modification the recipe was perfect. I followed the remainder of the recipe as written. My two kids loved this recipe. At first they were reluctant to eat it, but as soon as I mentioned that it was chocolate chicken, they ran to their plates. I did find that I had to add salt to my husband's and mines servings, but that it normal for most recipes. I liked that this recipe was full of flavor, but mild enough even for people that don't like spicy foods. The sauce was absolutely delicious and the chicken thighs ended up melt in your mouth tender. Overall, a great slow-cooker recipe that I will definitely make again. For the recipe go to Slow-Cooker Chicken Mole. 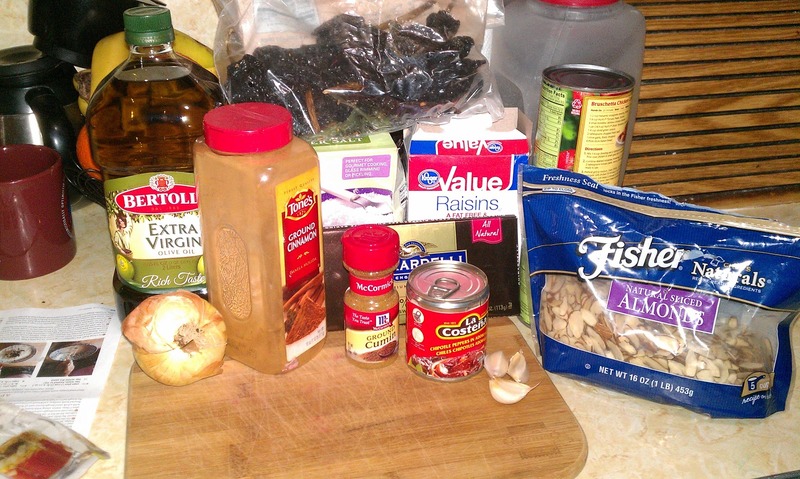 Thanks for sharing this, I have always wanted to make my own mole and doing it in the slow cooker makes it so much easier! It really is a very easy recipe since it's done in the crockpot. 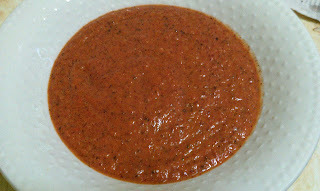 And the sauce was delicious! It really turned out well, I love that it uses the crockpot! Going over to enter your giveaway, thanks for the heads up! This recipe is really easy and I agree, I love that it uses the crockpot! The sauce was really delicious! I really like Chicken Mole, this I want to make, thanks. I slow cooker recipes also, they are the best :) Great for weekday meals!